In association with collaborators at Wake Forest University, FSES is participating in two separate studies assessing exposure levels and impacts on Agricultural workers and their families. The first project examines the exposure levels of youth farm workers. Agriculture is a unique industry in the United States in the manner in which youth can be involved. This is a unique populations with distinct challenges. With parental consent, youth as young as 10 years of age can be employed to do farm work. Youth employed in agriculture can work with sharp tools, machinery, and pesticides, as well as do the strenuous tasks of planting, cultivating and harvesting crops. Hired youth farmworkers are part of the larger vulnerable immigrant farmworker community, and include children in seasonal farmworker families, those in migrant families, and unaccompanied youth. Migrant and seasonal farmworkers are a vulnerable population that experiences significant health disparities. The experiences of youth hired Latino farmworkers, which includes harassment and abuse, places them at even greater risk. 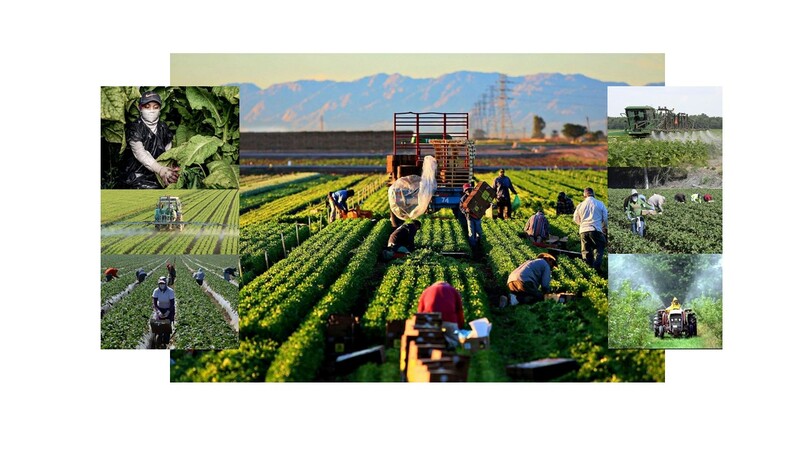 However, little research has documented the safety and health of youth hired Latino farmworkers. This project is based on a community-based participatory research collaboration between community advocates, youth, and academic investigators. Focused on youth farmworkers aged 10 to 15 years, it will use a mixed-methods approach that combines qualitative analysis of in-depth interviews with longitudinal statistical data from detailed interviews, clinical examinations, and biomarkers. This project is significant and innovative because it will provide longitudinal data on the occupational hazards experienced by hired youth farmworkers, and document the work organization and work safety culture in which they work. It examines how agricultural work and hazards affect immediate physical injury, but also how these factors influence the psychological and behavioral health of these children. This information will inform safety process and policy. The second project involves the impacts of organophosphate pesticides on the neurodevelopment of children of farm workers. As with youths, pesticide exposure in children is of particular concern because their higher surface area to volume ratio and immature metabolic processes make pesticide doses higher and longer lasting. Previous studies have clearly demonstrated that prenatal exposure to pesticides leads to neurobehavioral difficulties, developmental disorders and altered brain anatomy in children. To examine that question in children requires a highly exposed population, a longitudinal design, and careful quantification of exposure and outcomes. Children in Latino farmworker families are at particularly high risk of exposure due to both domestic pesticides used in their low quality housing and agricultural pesticides used in nearby fields and brought home by resident farmworkers on clothing. Our Wake Forest collaborators have nearly two decades of environmental justice (EJ) and community-based participatory research (CBPR) on pesticide exposure with farmworkers to provide a context to engage this vulnerable population in a study of both scientific and environmental justice importance.